Six water districts in California detected PFCs at levels above the health advisory level issued Thursday. The Environmental Protection Agency has established a new health advisory for toxic chemicals in drinking water. The chemicals are perfluorinated compounds called PFOA and PFOS, which are linked to cancer. The chemicals were used to make hundreds of products including Teflon and Scotchgard, and firefighting foam, which was used heavily at airports and military bases across the country. According to EPA data analyzed by the Investigative Unit, five water systems in the state detected levels of the chemicals above the health advisory limit issued Thursday by the agency. The Environmental Protection Agency Thursday issued a new health advisory level for exposure to toxic chemicals linked to firefighting foam. The agency set the advisory at 70 parts per trillion of lifetime exposure to two perfluorinated compounds called PFOS and PFOA. That means people should not drink water with detections of the chemicals above that level over a lifetime. The new level is nearly six times stronger than the previous health advisory level issued by the EPA in 2009. 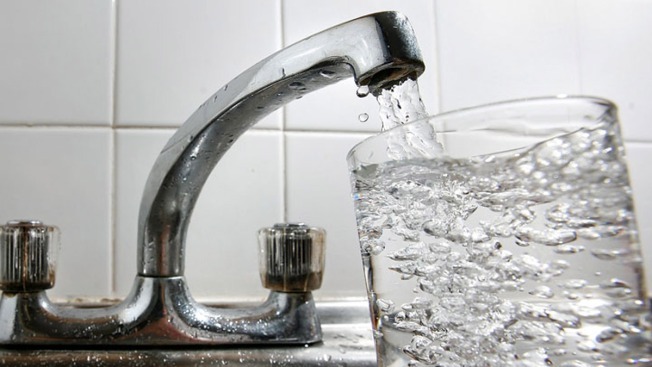 The Investigative Unit first reported on Tuesday that nearly 200 water systems in California detected perfluorinated compounds in their water. Data shows five water systems in the state detected levels of the chemicals above the new health advisory limit issued by the agency. The five water systems are: the California American Water Company in Sacramento, the City of Lathrop just south of Stockton, the California Water Service in Chico, the California Water Service in Visalia and the Eastern Municipal Water District in Riverside County. The detections were made between June 2013 and June 2015. The City of Pleasanton detected perfluoronated compounds in its water system in 2013 and 2014, but not at levels above the newly issued health advisory. City officials retested the water earlier this month and this time found no detection of the chemicals. The EPA advised water systems with detections above the health advisory to conduct further tests, issue public safety notices to residents and consult with the state’s drinking water agency to discuss next steps. The agency said public notification is especially important for pregnant or nursing women because of the impact these chemicals can have on the development of fetuses and breastfed or formula-fed infants. PFOA and PFOS are linked to adverse health effects including cancer, changes to the immune system and developmental delays. The chemicals have been phased out of manufacturing during the past 15 years but have been used to make hundreds of household products including Teflon and Scotchgard. The chemicals were also used to make firefighting foam, which has been heavily used for decades at airports, refineries and military bases across the country. See which military bases in California the Department of Defense is checking for drinking water contamination. The Department of Defense is checking for water contamination around more than 650 bases across the country, including Alameda’s Naval Air Station, the Treasure Island Naval Station in San Francisco and the Moffett Airfield in Silicon Valley. The EPA does not regulate PFOS and PFOA in drinking water. The agency is considering regulatory action to develop a national drinking water standard for the chemicals.